My second project for 2005 and it was a little more ambitious than the Boxer Rebellion one. 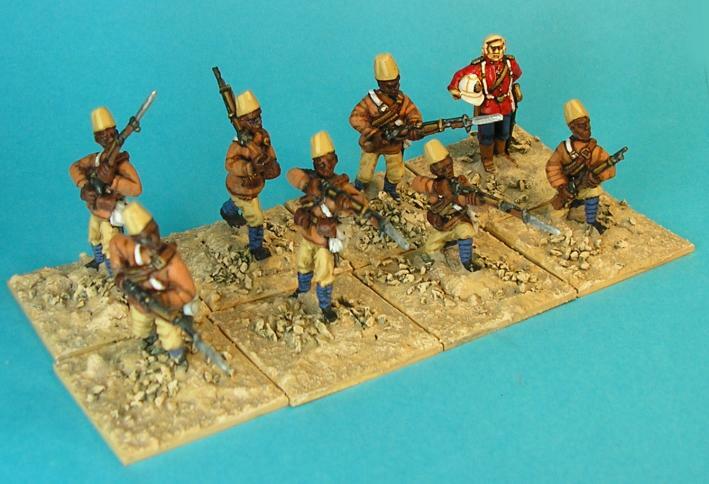 I’d begun to hear good things about the Patrols in the Sudan rules by Peter Pig and this, coupled with my long standing liking for the Redoubt Enterprises Sudan figures, was enough to get this started. Because I had allowed myself a two month time period in which to get it sorted out I ordered the rules first and set about deciding what I needed to buy. Doing things this way allows me to only buy the figures I need for the game which, in turn, means I only have to paint the figures I need and no time or effort is wasted. 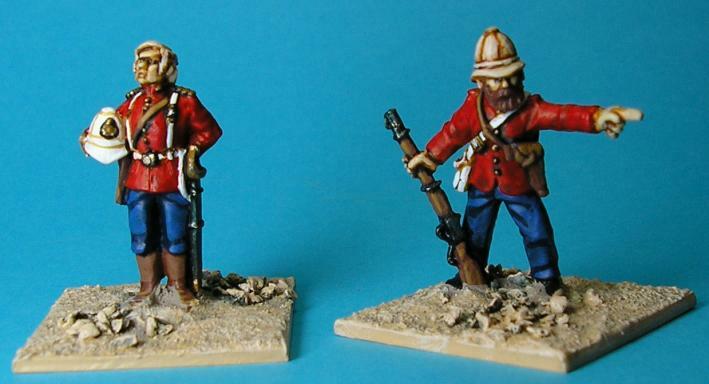 I looked at various ways to convert the 15mm rules into 28mm rules. The rules as written use 30mm square bases with three infantry on them as a standard. I could have three 28mm figures on a larger base and increase the movement and ranges accordingly or I could keep everything the same and have a single 28mm figure on a 30mm square base. Since the ranges are long and the movement allowances are very generous I decided to go for a single figure to a base. This had the added advantage of allowing the game to fit on my 8’ x 4’ table as well. 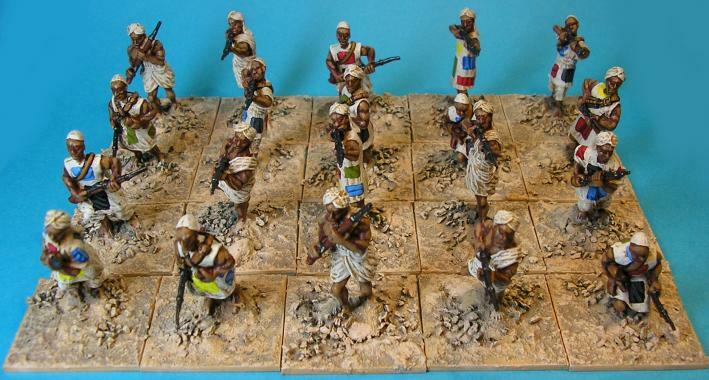 Doing things this way would give me infantry units of between 7 and 9 figures as a general rule. I was slightly concerned that this would not be a pleasing size as I generally like to have quite large units. 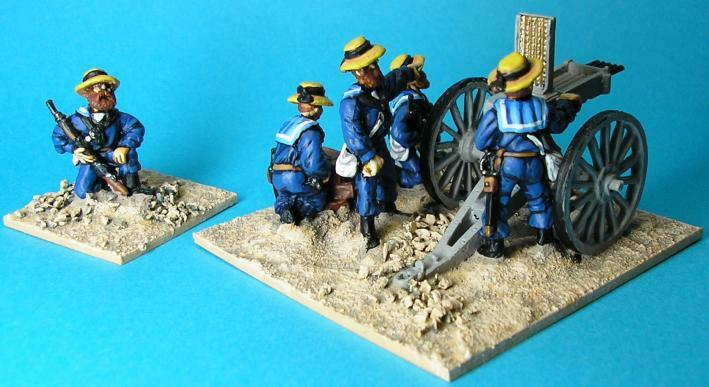 For my Principles of War ACW armies I have doubled the number of figures per unit from 9 to 18. However, I haven’t finished that project and it’s been seven years so far. In the end I bit the bullet and went for the smaller number. Realistically it meant I could paint the figures I needed in the time I had. Tripling the numbers would put the totals out of my reach and add hundreds of pounds to the cost. I drew up a list of what I needed for a basic game. The players draw their forces from an available pool so I needed to paint more figures than would ever be seen on the table together. I decided to limit the players’ choices a little in order to facilitate the completion of the project. More figures and options can always be added later after all. 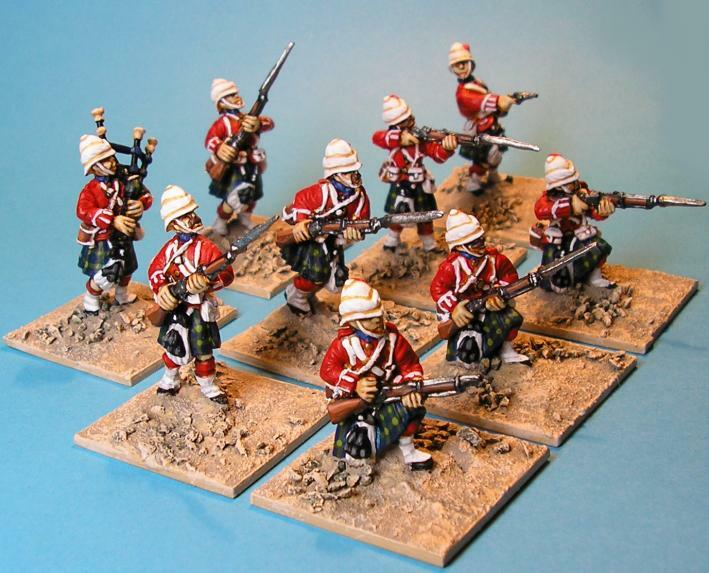 3 lots of 9 Infantry; 2 Regular, 1 Highlander (including Sergeant and Officer for each) this is the maximum allowance. 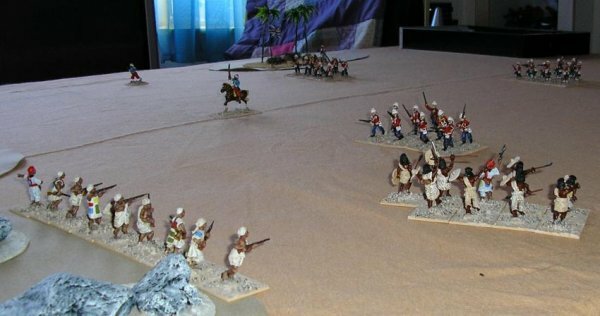 4 scouts; Natives with rifles, 2 mounted, 2 on foot this is the maximum allowance. 1 Gun with Royal Artillery Crew + Officer this is the minimum allowance. 1 MG with Naval crew + Sergeant this is the minimum allowance. 1 rifleman this is the maximum allowance. 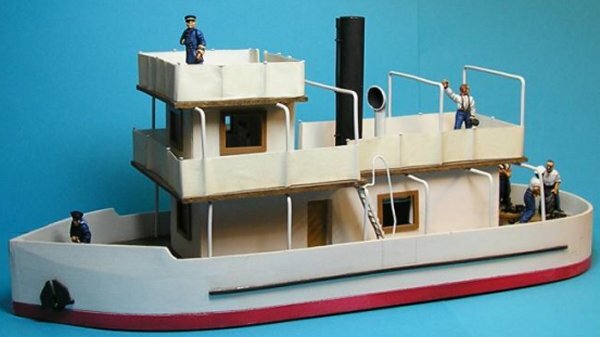 Boat crew of 6 + Sgt + Officer, this is the maximum allowance. 20 rifles this is the maximum allowance. 40 spearmen this is the maximum allowance. 6 Leaders this is the maximum allowance. 8 Flags for scouted terrain this is the maximum needed. 15 Dead and wounded Dervish for casualty markers; I decided to use Dervish figures for all the markers and not paint up any dead British because the British would take too long to do and only came in a single pose. This allowed me to have an standard infantry engagement with maximum options for both sides. I decided to paint a singe field gun and a single machine gun for the British. Technically the player could choose a unit of two field guns or two machine guns but I thought that if he wanted that we would use the existing models and the one that was ‘wrong’ would just fire and move like the ‘correct’ one. This saved at least two days of painting and about £20.00. As it was, the boat crew and the casualty markers weren’t ready for the first game. 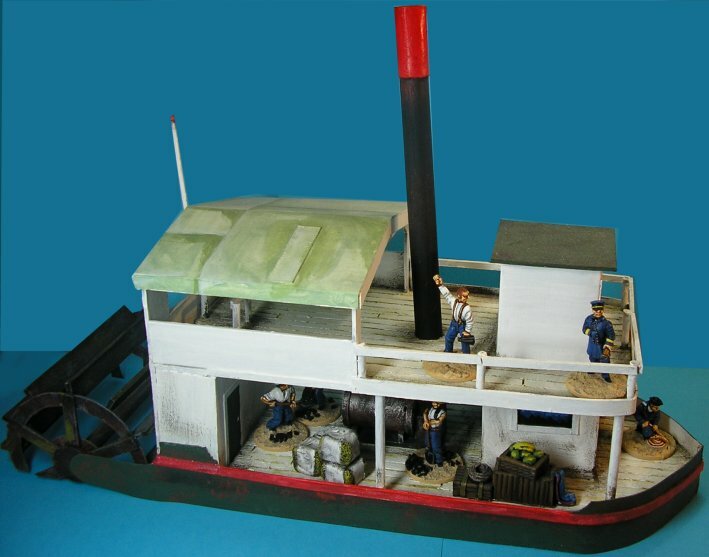 The boat is a separate option for the British and wasn’t missed. Everything else though was ready and saw action right on schedule. Here is a shot of figures from three companies. Their feet have been lined up not the bases. The lines behind them are 10mm apart. Men: Redoubt officer, Britannia Bugler, Britannia officer, Redoubt trooper, Redoubt trooper, Britannia mounted officer, Redoubt mounted trooper, Britannia mounted trooper, Castaway Arts mounted officer. 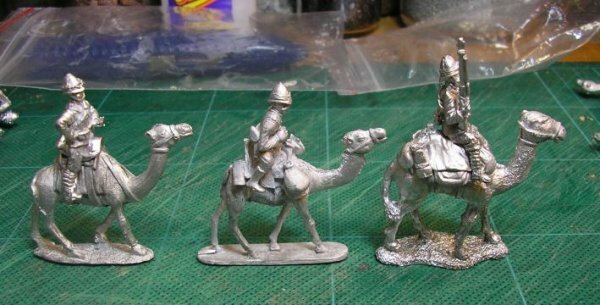 Camels: Britannia, Redoubt, Castaway arts. Redoubt, dismounted are good and match well with their infantry but mounted are poorly posed with no weapons and no mounted officer in the range. The camel is the only model for the whole range and is supposed to be British, native and baggage. It may do for baggage but has no equipment shown for British. The British rider doesn't fit it without serious filling. 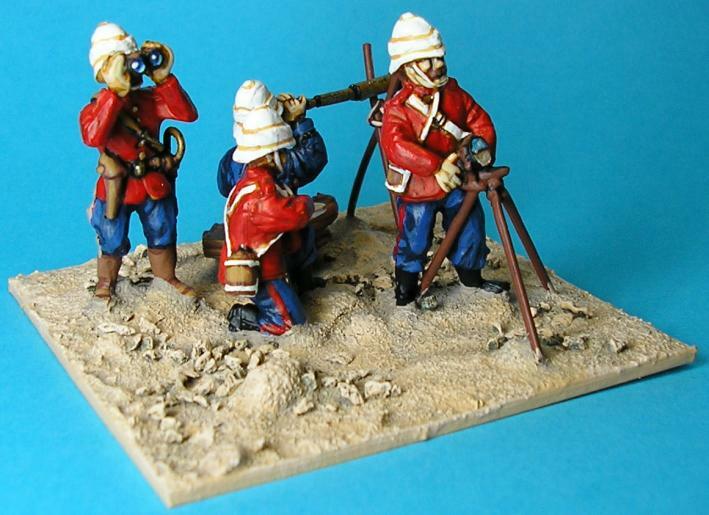 Britannia, dismounted are smallish and static, these are very old figures now. 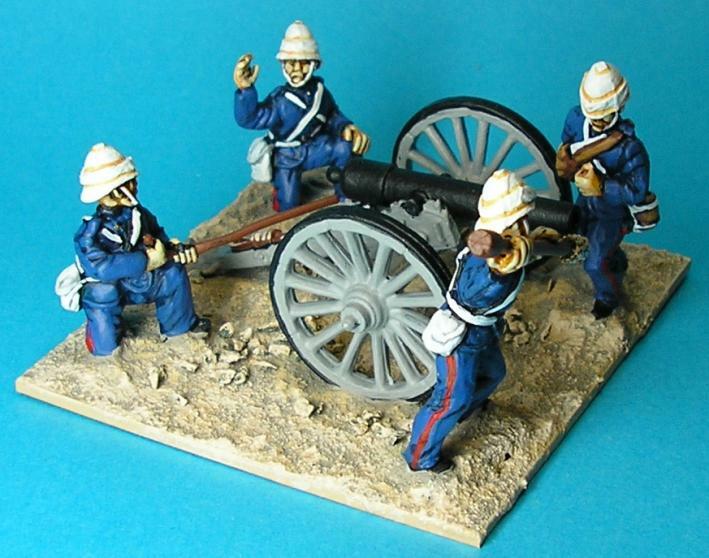 I will be using the bugler because I need one and when painted and based he should be ok. 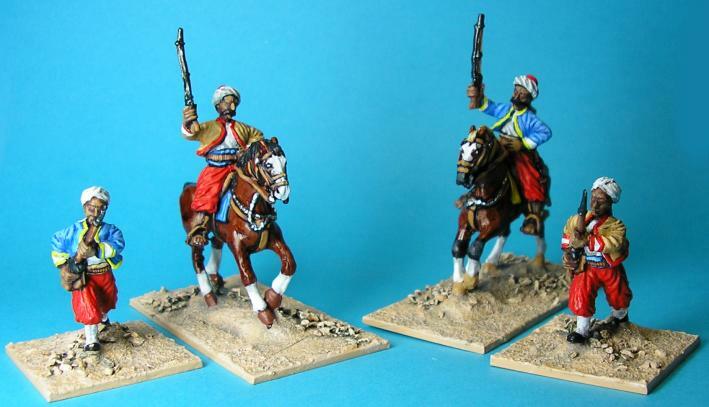 The mounted are bigger and are a good match for the Redoubt figures that make up the rest of my collection. They are fully equipped and there is a trooper, an officer, and a bugler in the range. The camels are excellent in my opinion and fully equipped. The riders fit them seamlessly. Castaway Arts, I only got a mounted officer to see what this range was like. Excellent detail but too small for my needs I think. Here is a shot of the figures mounted so you can gauge relative heights. Redoubt trooper, no gun or saddle equipment you'll notice. Castaway Arts officer, not too small when on his camel but still noticable enough to not mix. Britannia trooper, all round excellence in my opinion. The anatomy is not as good as the other two but the figure is still good, I know that some Britannia figures can look a little odd but this range is not affected by this. 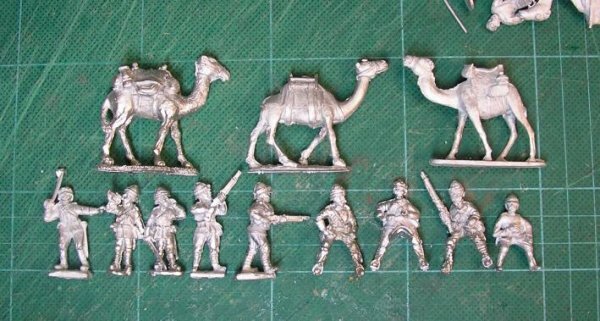 Here's a shot of some Redoubt casualty figures and a Castaway Arts infantry figure. 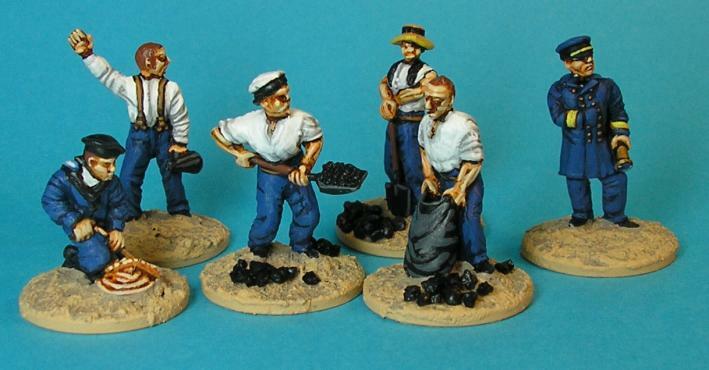 The middle one is the Castaway Arts miniature. Nice figures and probably usable as a separate unit but too small to mix in convincingly.